Voodoo Tactical Scorpion Range Bag | BUDK.com - Knives & Swords At The Lowest Prices! 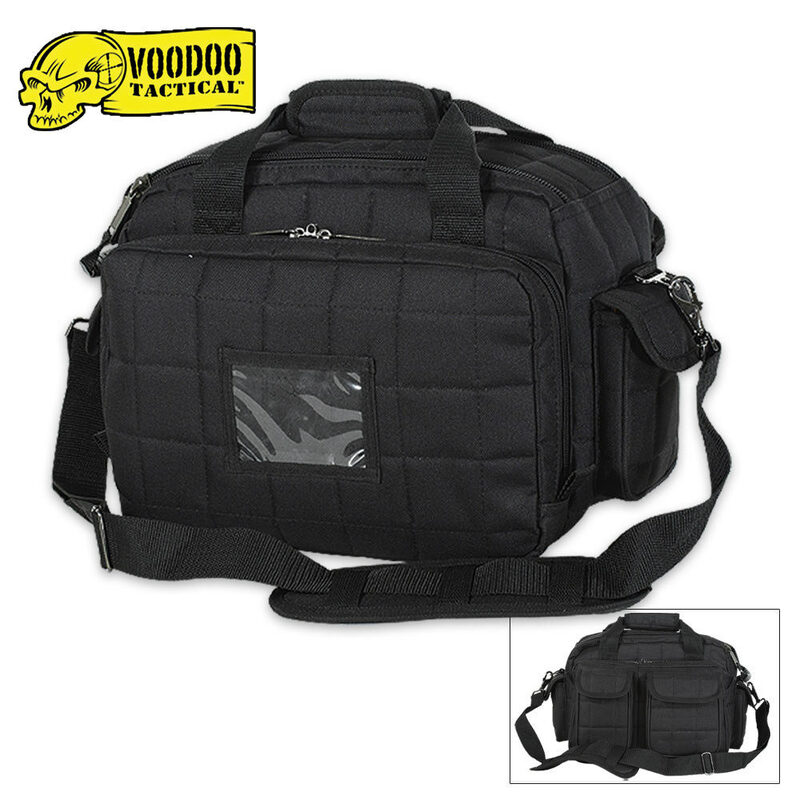 Measurements: 16" x 10" x 11"
This Voodoo Tactical Scorpion Range Bag features a double pull top zipper with rubber handle for easy access to the main compartment, which offers two full-length open top end pockets and divided side pocket with elastic loops. The outside features two padded, covered end pockets, two full-length padded side-zip compartments that can hold handguns and ammo and both have lockable zipper pulls.